Vinyl pool liners cover the floor and sides of a pool providing the overall look and color of your backyard oasis. Not only do they give the inside of your pool a pleasant appearance, but they also serve the vital function of protecting the pool structure itself from chemicals, preventing water from seeping out, and providing an enjoyable texture for swimmers. Outside of How to Choose a Pool Liner, the second most common questions folks have are related to their liner's warranty. Which issues are covered, and which aren't? And for situations that aren't covered under the warranty — what can you do ahead of time to prevent damage? Let's take a closer look at some of the most prevalent issues that pool owners reach out about— and whether or not your warranty will have you covered. If your warranty doesn't cover the specific situation, we'll look at some ways to prevent the issue from occurring in the first place. Used correctly, pool chemicals like chlorine are pivotal in maintaining the safety, health, and longevity of your pool. 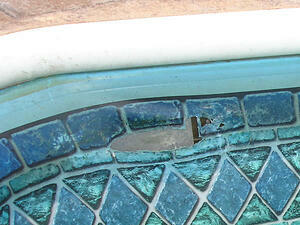 However, improper use of pool chemicals is also one of the major culprits in pool liner damage. Issues with wrinkling, water absorption, fading, and damage often occur when pool owners accidentally use either too much or too little of a specific chemical or fail to keep pH levels stable. Proper pH Levels. Your vinyl liner's lifespan depends upon balanced chemicals. Make sure to check your pool's pH frequently — every few days in the off-season and every day in the summer months when your pool is being used — to keep the pH levels between 7.2 and 7.6. Not only will this protect your liner, but it will keep your pool more comfortable and help prevent the water from becoming discolored. Alkalinity. Another reading provided by your water testing kit, the proper alkalinity in your pool will support healthy pH levels. Aim to keep the total alkalinity between 80 to 120 ppm. Stabilizer. Also known as cyanuric acid, stabilizer (or conditioner) protects chlorine from UV rays. 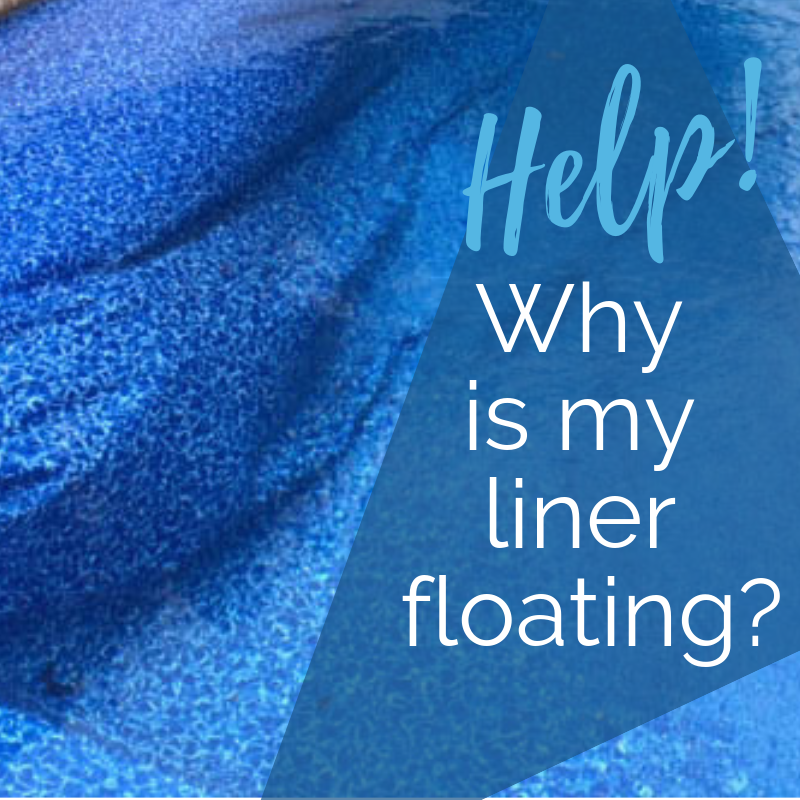 If the stabilizer levels are out of balance, this can cause your liner to absorb water and wrinkle. You should aim to keep levels of stabilizer at 20-50 ppm, or whatever level your dealer or manufacturer suggests. Chlorine. You already know that chlorine is necessary to keep your pool sanitized and safe. Too little, and you could start seeing algal growth. Too much, and your liner can fade and wrinkle. Keep your free chlorine levels between 1.5 and 2.5 ppm, or whatever's recommended in your liner's accompanying documents. Calcium. In most cases, you should keep your calcium levels between 200 and 500 ppm to prevent issues like corrosion and cloudy water. It's also important to take into account the effect of salt generators and auto covers on the chemical balance — and therefore overall health — of your vinyl liner. 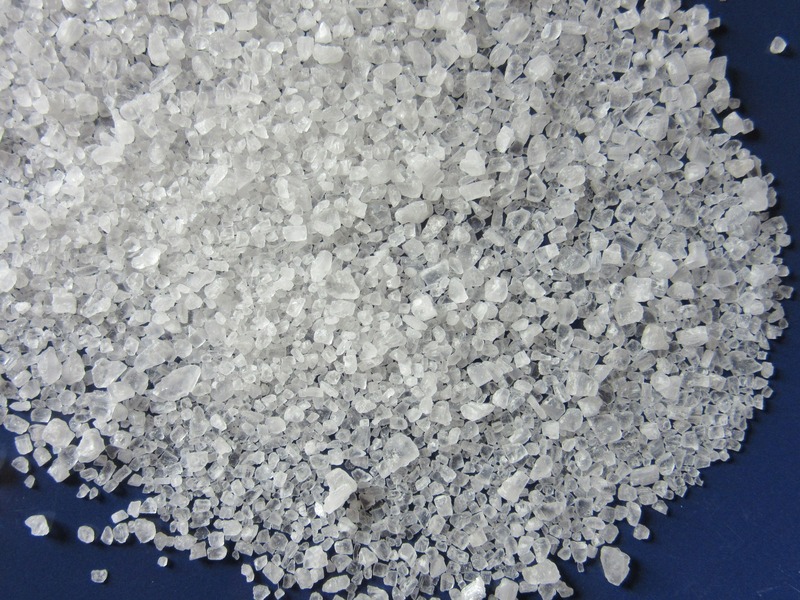 Salt generators can make a liner more prone to wrinkling if they're not frequently monitored. In other words, you don't want to "set it and forget it" with a salt generator. Salt generators must be monitored and adjusted regularly to ensure your chemical levels are kept within the appropriate range. Check frequently and adjust as needed. 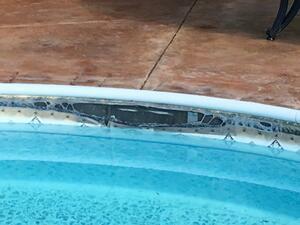 In addition, automatic covers have been known to allow chemicals to accumulate between the pool and the cover. Always give chemicals enough time to dissipate before covering the pool, and uncover your pool every 24 hours to allow those chemicals to vent. Seam separation in your pool liner is just what it sounds like: your liner splits along a seam, leaving a hole in the liner. In most of these cases, you'll see this at the bottom of your pool, where the wall meets the floor. 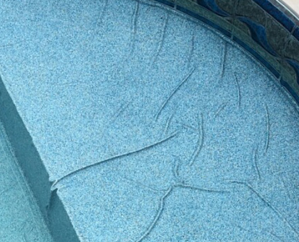 Usually seam separation isn't caused by anything you could have prevented as a pool owner as this is usually due to an issue during the welding process that created the liner. 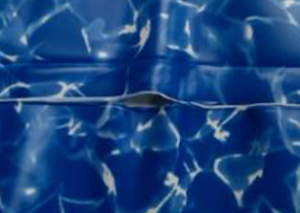 Because this reflects an issue in the workmanship of the liner, true seam separations are covered by your pool warranty. Many liner warranties are pro-rated based on how much time has passed since your initial purchase. This means that you'll want to be aware if your pool has any issues and follow up on the warranty as soon as possible if you spot any problems. IMPORTANT NOTE: seam separation is a distinct issue separate from "mechanical damages," which would entail rips, tears, and punctures of any kind. These kinds of damages are not related to the workmanship of the liner — but usually caused by sharp objects, debris , pets in the pool, or other accidents. Though mechanical damages are not covered by your warranty, it's usually possible (and fairly easy) to use a repair kit to patch up most damages. PRO TIP: Using a pool cover when your pool is not in use can go a long way in preventing debris and critters from puncturing or tearing the pool liner. In every pool, there's a small bit of space above the surface of the water where the liner is exposed to the elements. This exposed part of the liner can experience dry rot.. This may lead to discoloration, lose of strength integrity, or a crack/tear in the material. High temperatures and exposure to sunlight. To prevent the risk of these factors damaging your pool, consider using a pool cover on hot, sunny afternoons when your pool is receiving the most light. If this is not an option at the current time, wet the walls of your exposed pool liner either by brushing your pool water onto it with a soft bristled pool brush or using a garden hose. Cleaners that are acid-based. Acid-based cleaners can damage the lining and make it susceptible to dry rot, so be cautious when choosing cleanser. Improper cleaning of the lining. Substances like sunblock and body oil can build up on the sides of your pool and contribute to damage when exposed to UV light. 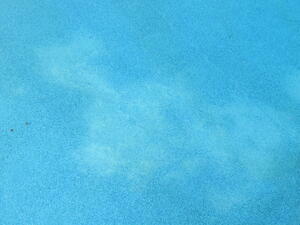 Frequently clean the "dry" sides of your pool with a non-abrasive cleanser and cloth to cut down on product buildup. Improper liner installation. If the liner is pulled too tight during installation, this can cause it to deteriorate with time. View proper liner installation instructions here. Because dry rot can be prevented with proper liner maintenance, damage from dry rot will not be covered warranties. When it comes to preventing dry rot, a little bit of care goes a long way. Use your pool cover to keep your liner from discoloring from UV exposure — just make sure that your chemical levels are normal before covering the pool. Make sure that you are wet brushing your side walls as well to remove any oils that have gotten splashed on the walls and to keep that portion of your pool moisturized, if you will. Register right away. When you get your warranty information, read the fine print to find out if you need to register your warranty within a certain period of time in order for it to be valid. While many companies will give you 30 days to register, it's better to do it right away so that it doesn't slip through the cracks. Prorated warranty structure. It's so important to keep a careful eye on your pool liner during the first few years to catch any manufacturing defects. Not only will this ensure that your liner is doing its job properly, but this will also work in your favor in terms of the warranty. Many companies offer a prorated warranty structure, which means that with each passing year, you'll receive less of a discount off the cost of a new liner. Also, here at Royal Swimming Pools, our liners are priced wholesale this is important since the pro-rated warranties are based off the manufactured suggested retail price. What does this mean? While seam separations after the first few years are very rare, normally the warranty will have very little value actual value after the first 7-10 years. By this point it is usually less expensive for customers to purchase new liners. Get to know your vinyl liner. In order to be compensated under a warranty, you need to have followed the guidelines and advice offered by your manufacturer and dealer. Carefully follow guidelines on caring for your vinyl liner so that you can rest assured that you won't be held responsible for damages. A pool warranty ensures that you're covered against any defects in workmanship in the vinyl liner, but won't protect you against improper installation or maintenance of the liner. But by keeping your pool chemicals in balance, protecting your liner against excessive UV exposure, and cleaning it frequently, you're taking all the necessary precautions for a long-lasting liner.